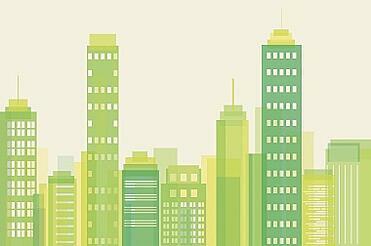 Researchers at MIT estimate commercial buildings account for 20% of all the energy used in the U.S. and concludes that as much as 30% of that energy is wasted. In commercial buildings, energy is an expense of business operation and the productivity of people is the real goal. Comfort and climate control are a key aspect of maintaining productivity in an office building, but what if you could maintain that comfort while reducing energy consumption by 20 or 30 percent? Tracking energy usage within a building is the first step to identifying where to make cuts. The three ways to reduce energy consumption in the office are climate control, lighting and water usage. 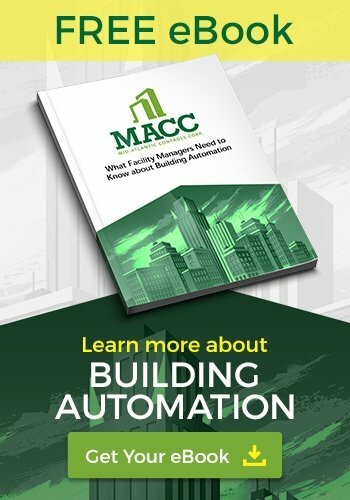 How Can a Building Automation System Help Avoid Energy Waste in Commercial Buildings? National averages agree the majority of energy goes towards heating and cooling. This holds particularly true in Central Virginia and the Mid-Atlantic Region. Lighting, electronic equipment, water usage and heating, refrigeration, cooking and variety of others account for the remaining energy being used in most office buildings. Saving a small percent in an area, like climate control, that comprises a large percentage of total energy consumption will usually give you the highest return on investment. Saving 35% on lighting is outstanding, but saving 10% on climate control could have a significantly larger impact on the bottom line. Your electric bill will not show up with itemized costs of heating your building, keeping the lights on, or any other electric usages. We recommend installing a system that can track where energy is gets used. Information is a powerful tool. If you do not know how much your company spends on cooling the building, how do you quantify spending an extra $3,000 to purchase a more energy efficient piece of equipment? How quickly will this energy management effort pay for itself? Will this decision be profitable? Without energy data you'll never know. Imagine the power a simple pie chart could lend in your decision making process. 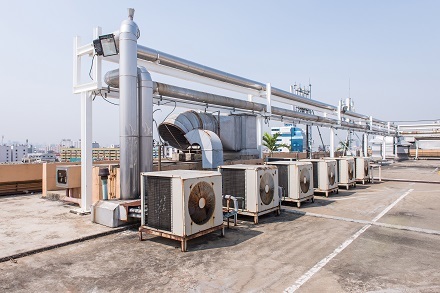 Knowing that your company spends a certain amount per year cooling the building, will help you decide if a particular piece of equipment will pay for itself within its estimated life expectancy. The kind of data derived from energy usage can also help you identify problem areas. Why is my company spending more on lighting than the national average? A study conducted by by the National Grid US, estimates that “office buildings in the U.S. spend an annual average of $1.34 per square foot on electricity and 18 cents per square foot on natural gas.” They go on to approximate that somewhere between 54 and 71 percent of that energy goes to climate control. While you could save money in lighting or other areas, your business might be better off starting with improvements related to climate control. Having concrete data in front of decision makers is the best way to quantify energy management practices and equipment upgrades. Contact us if you’d like help managing the energy in your building or would like us to conduct an audit of your current energy usage.